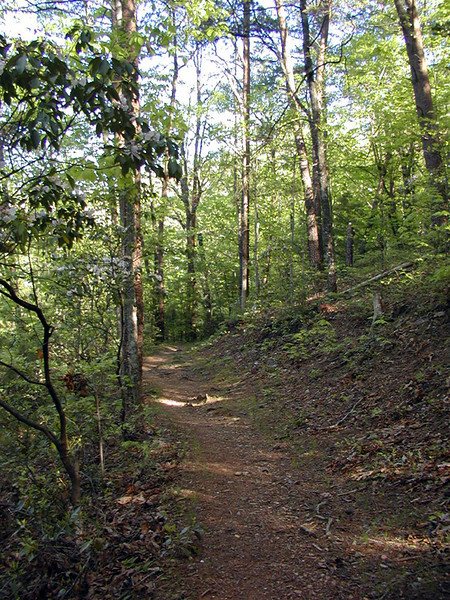 One of the boundary trails at the edge of the Great Smoky Mountains National Park on the Tennessee side. A beautiful hike in any season. Little Greenbrier Trail framed in mountain laurel. Tom, I recall you from Go Smokies. Why don't you write me on my regular email waterfalldreamsATyahoo.com Let's discuss it a little further. I expect I can help you out.